It’s FINALLY looking and feeling like Spring here in Ohio. 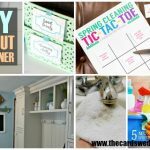 We are finally seeing warmer weather and it got me thinking about all my Spring Cleaning To Do’s and how it’s hard to keep track of all the things I should do and want to do this time of the year each year. So, I thought, why not make it into a game and encourage my whole family to participate to get things done?! 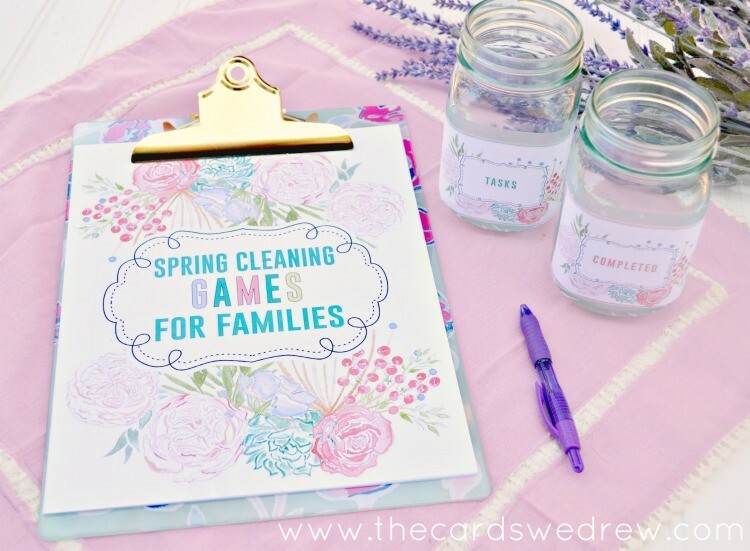 Today I’m sharing a fun Spring Cleaning Game for download for all of YOU that have families and want to get clean and organized this spring! 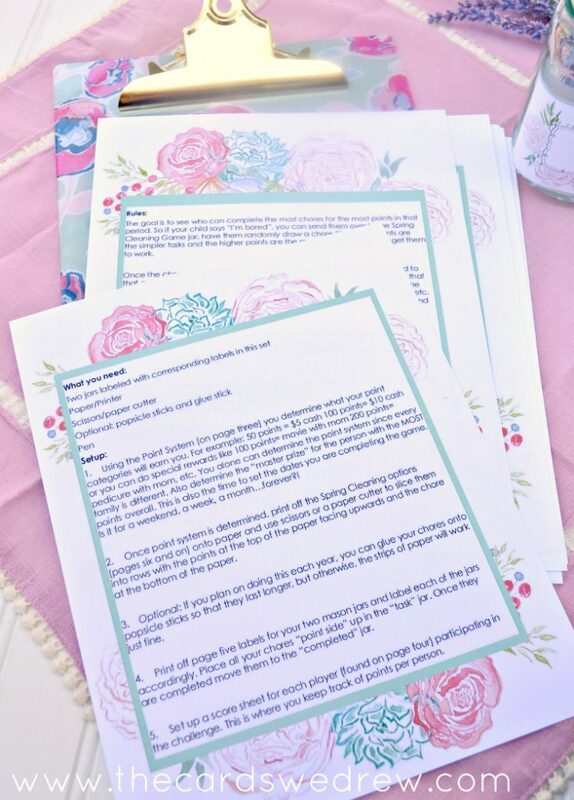 It contains 5 pages of spring cleaning ideas + rules, score sheets, prize pages, and more. There’s a list of tasks with assigned point values. You print off the tasks, cut them out, and place them in the “Tasks” jar for people to draw from. If your kids want to earn a reward or are bored, they select a task from the jar and complete it. 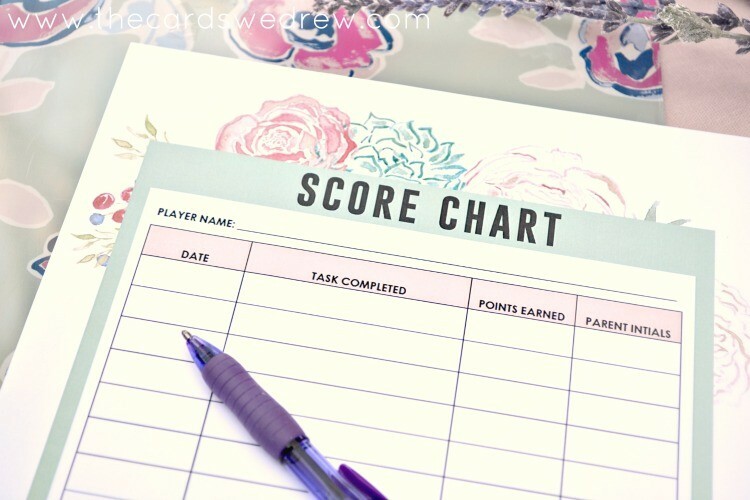 Once complete, you add to your score sheet and have a parent sign off. At the end of game, you tally up how many points you have and earn the associated reward. The more complicated the task, the more points it’s worth. Once the task is completed, move it over to the “Completed” jar and move onto a new one. Each participant can earn as many or as few points as they like and some tasks can be repeated at your discretion. 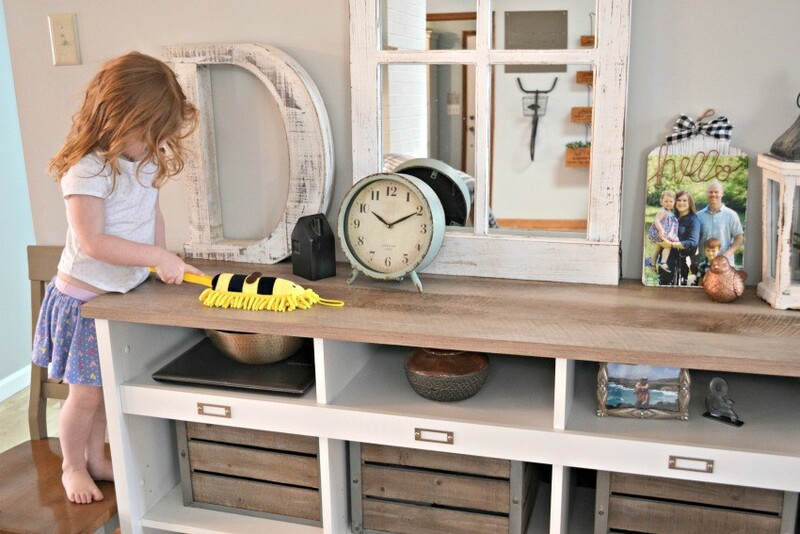 At the end of the game (you determine the time frame), the idea is to have all your spring cleaning done and lots of happy family members because they contributed to the household and earned something fun in return! 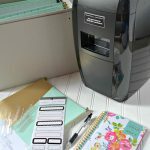 Ideally, you’ll only need to print off the printables, cut them out, then either use the strips of paper on their own, or you can glue them onto popsicle sticks to re-use each year. 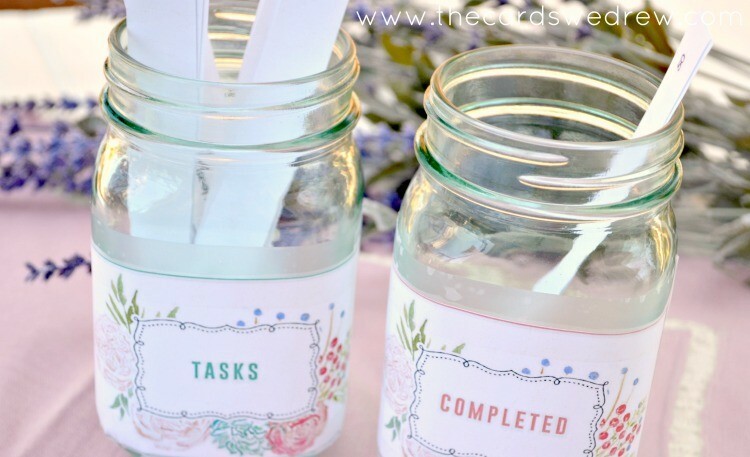 Finally, you’ll need two jars and tape to label the “tasks” and “completed” tasks. I got a cute clipboard to hang up in our mudroom and left a pen out so we’d remember to log the tasks. 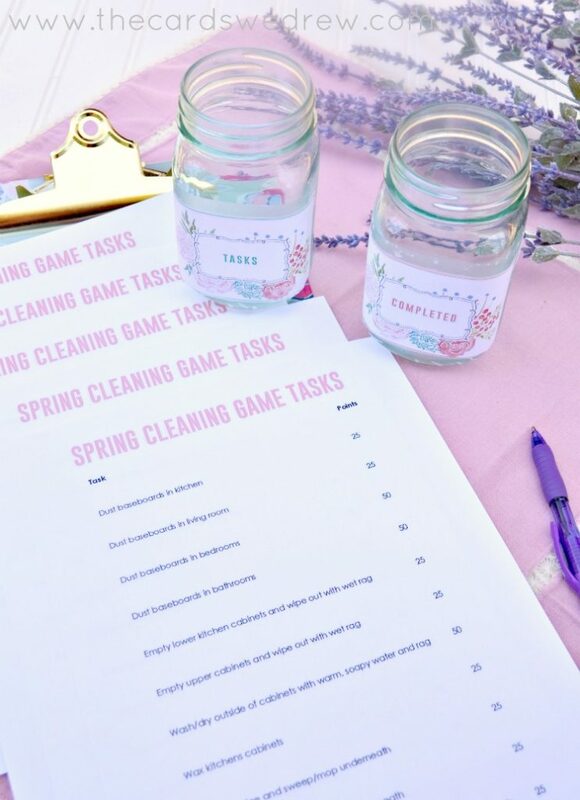 There’s five pages worth of spring cleaning task ideas as part of this game and you can always add your own that are pertinent to you and your family. 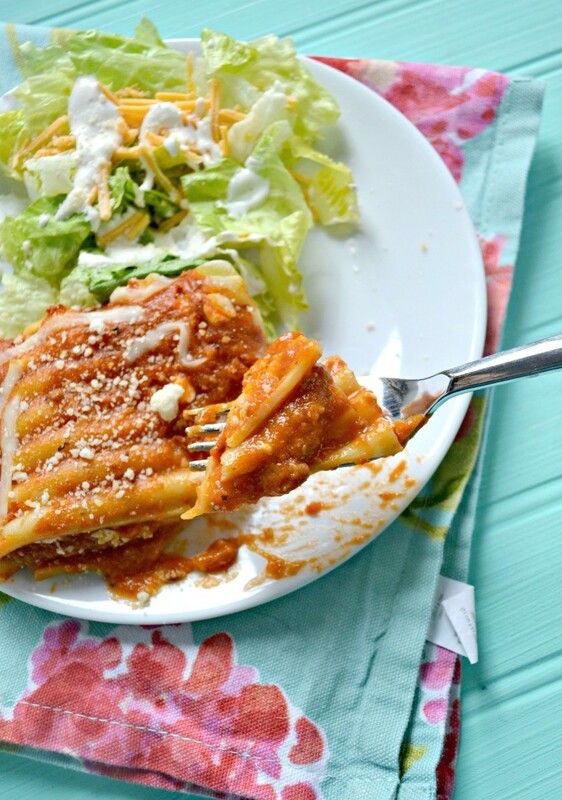 For me, while we’re all working on our Spring Cleaning Game tasks each weekend, I pop in an On-Cor Lasagna with Meat Sauce entrée in the oven along with some garlic bread and salad so that we’re not slaving away in the kitchen and spending more time making a kitchen mess than cleaning our house! On-Cor has a simple mission—to offer quality, multi-serve entrées that everyone loves. They recently enhanced their products to satisfy the needs of moms looking for convenient, quality dinner solutions for their families. The multi-serve entrée products feature popular flavors and varieties, giving people a reason to come to the dinner table. 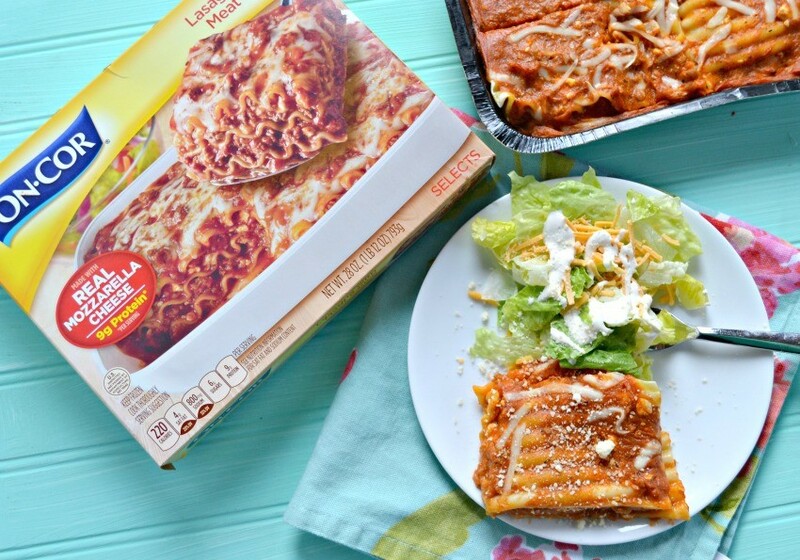 The frozen, fully-cooked entrées are conveniently packaged and ready to heat and serve. All entrées have no monosodium glutamate (MSG) added. For additional information about the entrée’s, visit www.On-Cor.com and www.facebook.com/oncorfrozenfoods. So now, while you’re favorite On-Cor entrée is in the oven, celebrate spring with your family and get your house whipped into shape as fast as you can…knowing that dinner will be ready in no time and after dinner you can have family movie night, a family game night, or whatever tickles your fancy this time of year! 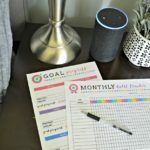 I hope this game inspires you and your family to knock off some of your to do’s!! **Winner will be selected on Wednesday, March 21st and will be notified via email. Winner must be 18 years old or older and live in the continental United States. 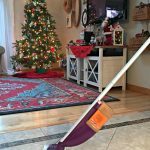 The Most Overlooked Spring Cleaning Item…. What a great idea! The weather really has been beautiful here. I hope it sticks around! This is such a great idea! Thank you for sharing with us at Merry Monday! We really like the Salsbury Steaks and Gravy. And when spring cleaning (or any cleaning) I pick a fun station and blast the music. Makes everything more fun! We usually buy the barbecued pork riblets. We eat them on hoagie rolls, just like a McRib, except it’s a fraction of the price. The barbecue sauce they use is delicious. I would even say it is goo enough to drink! !